Choosing a wig is always an important thing. From classic to brightly coloured, you’re sure to find the style that’s right for you on our website! And if you cannot find a wig that you like, you can choose from our wide selection of turbans and scarves. Worn under the wig. Protects from frictions. It is important to calm down and keep feeling like yourself when hair fall starts. 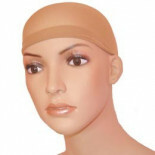 That is why we offer you a wide range of medical wigs. 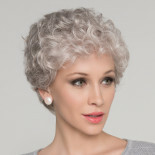 Because it is essential for you to have self-confidence, we choose for you wigs of the best quality: natural hair wigs, synthetic wigs, monofilament wigs. On our website, you will find every haircut and every style you need in order to face the treatments. La plupart de nos perruques sont faites pour que vous puissiez les coiffer exactement comme s'il s'agissait de véritables cheveux. N'hésitez pas à les arranger de la meilleure façon pour vous donner un look des plus glamours et naturels !